A Langley student signs the Relay for Life "I Relay For..." board. Last year in March, Langley McLean Relay For Life began the planning of its annual event in May. Unfortunately, the event was canceled. This year, however, a committee is formed and the event planning is underway. Relay For Life is a nationwide American Cancer Society fundraising campaign that, in the Langley and McLean community, culminates to an all-night event in May, raising awareness for cancer and those it affects. Students from Langley and McLean form teams with their friends and work to raise money for the American Cancer Society. Then, on May 11-12 from 5 pm to 5 am, teachers and students come together on the Langley High School field to partake in activities, listen to music, to eat food, and to celebrate the strength of everyone affected by cancer. So what happened last year? In 2017, Langley was in the midst of construction, so the event was held at the Cooper Middle School field. But when 2018 began, Cooper was no longer an option. “Last year we had a little bit of a roadblock. The decision was made that [Langley] didn’t want Relay to be at Cooper anymore. It just wasn’t quite secure enough, there wasn’t a fence, and there was a little bit more liability there, so the decision was made to wait until we could get back to Langley,” American Cancer Society Community Development Manager Anna Unger said. The break last year presents a few problems going into this year’s event. “It’s definitely interesting because with taking that year off, you kind of lose the momentum…We’re ramping back up, but it’s definitely going to be interesting because there is that year of freshmen, and sophomores, that haven’t been to Relay, so we have this new challenge of getting people excited about it who haven’t actually experienced it before,” Unger said. With construction done, Langley is hosting the event again, and fundraising is in full swing. There is a catch, however. Relay for Life was not given permission to be considered a Langley club and isn’t allowed to promote Relay for Life in any way on school grounds. “After that year, Langley decided to drop support for Relay for Life, and I believe that it was also, in part, because we didn’t have a teacher sponsor. 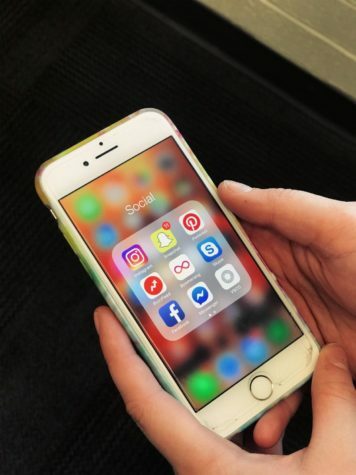 As of now, we are not allowed to put up flyers at the school, do any marketing through the school, so it’s been very difficult for us,” Langley junior and Relay For Life Executive Director Erin Connery said. Along with encouraging the Langley/McLean community to help raise money to fight cancer, Relay for Life is also helping to decrease recent tensions between the two schools. “Already, through our committee, you can tell that there’s a collaboration between the Langley and the McLean side and I think it’s just a matter of everyone joining together for such a good cause, and realizing that although we are rivals on sports teams, in the end, nobody likes cancer and we’re all just out here to fight it,” Connery said. The event on May 11th is set to include many of the activities from 2017, but with a few improvements. 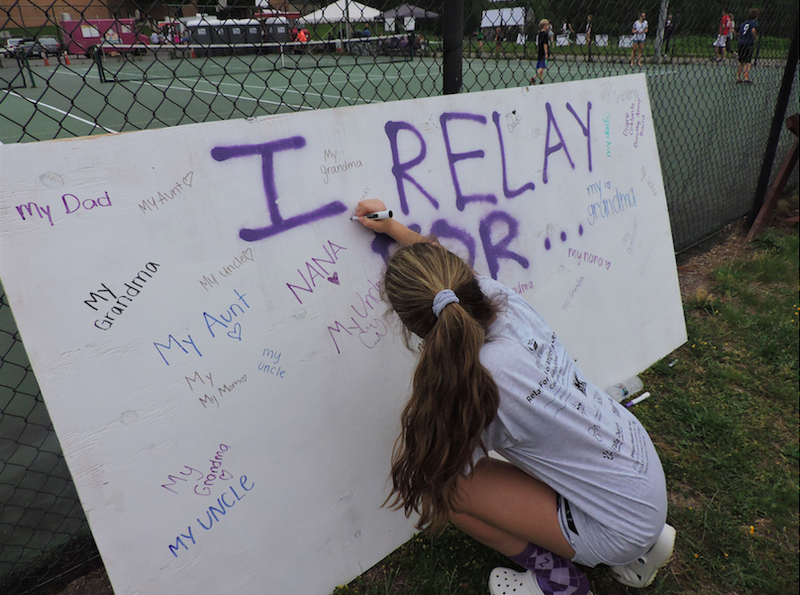 “We’re going to do a lot more activities on the actual night of Relay in order to get everyone involved, and hopefully, since we’re starting late this year, we can raise a significant amount of money and then next year beat the amount that we raised my freshman year,” Connery said. The event is all night long, but everyone who plans to stay overnight must raise at least $100 and will receive a Relay for Life t-shirt for doing so. Those who are unable to raise $100 can still attend until 11. “I loved Relay For Life, it’s for such a great cause and you get to have lots of fun with your friends after working hard to raise money! Staying the whole night makes it so worth it because it’s rewarding after raising so much money,” junior Sammie Rosenbloom said. With only a few weeks left to fundraise, McLean and Langley’s students alike need to form their teams, start fundraising, and get ready for May 11th. “I always say that we’re celebrating our survivors, we’re remembering loved ones lost, and we’re fighting back against cancer together,” Unger said.